Every library has its “must-own” books. These are the books that we go to time and again. I admit I was a little nervous when I was asked to look through my library for my Top 10. Top 10 lists, whether they are books, movies, restaurants or what-have-you, are highly subjective. So here, arranged alphabetically by title, is my highly subjective list of 10 sewing books that I cannot live without. Okay, I cheated. My first book is a trilogy. But what great reference books these are! These books, any of which is a great addition to your sewing room, contain clear, concise explanations of the different weaves and types of each fabric. They also come with swatches of the fabric types for quick visual and sensual reference. If you learn best about fabrics by touch (and who among us doesn’t run their hands over a bolt of fabric to get familiar with it?) you will love these books. Each book also includes reference charts that indicate the hand, care, and recommended uses for each fabric. I don’t make bridal gowns, but I do refer to this book frequently when sewing special-occasion fabrics and certain formalwear. Ms. Khalje’s explanations of how to build an inner structure for gowns are excellent. I also refer to the sections on sewing lace frequently. Some of the styles of gowns may seem dated (my copy of the book is ten years old), but the how-to information is invaluable for the formalwear seamster! This book, published in 1995, is still one of my favorite general references on fabric. In addition to en encyclopedic explanation of each fabric’s characteristics, Ms. Shaeffer includes technical information that is immeasurably useful to home-sewers: needle size, stitch length, recommended stitch types and other construction tidbits. Because this book was published in the mid ’90s, it does not contain information on newer additions to the fabric world. I understand that an update is in the works. But even in its current edition, it’s an incredibly useful reference. Published in 2000, the spine on my copy is broken from so much use. This book is packed to the gills with information on all manner of couture details. From the basics of underlining to Chanel-style jacket construction, this book is a treasure trove of techniques, written in a very accessible style. 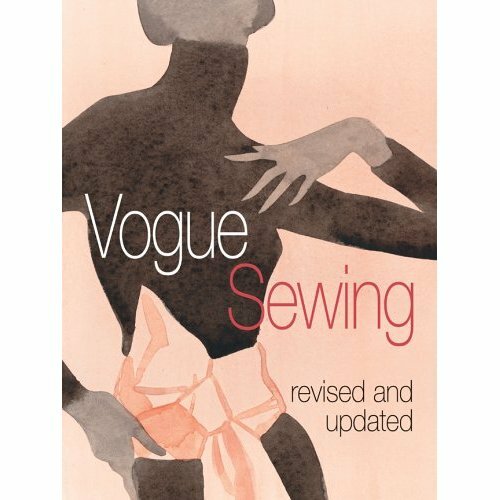 You don’t have to be a couture level seamster, nor do you need to be making a couture garment to use the great information in this book! This book is chock-a-block full of practical information for fitting almost any body. Ms. Betzina writes in a conversational style that puts almost any reader at ease. The first half of this book, which is hardcover with an internal spiral binding for ease of use, covers common fitting issues and fitting basics. The second half has step-by-step instructions on how to adjust patterns to address these issues. The second half is arranged by area of the body, so it’s easy to find the exact modification you need. I keep this book by my cutting table and refer to it constantly. Originally published in 1992, it is a testament to the quality of information in this book that it is still at the top of many seamsters’ lists for usefulness. 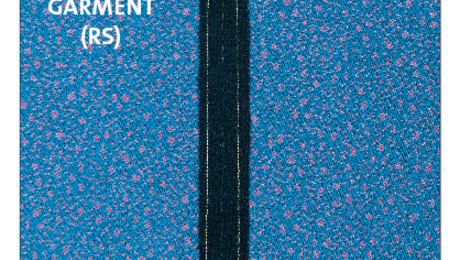 What I particularly like about this book is that it shows three different ways to alter patterns: the slash-and-spread method, in which you slash the pattern in the middle and spread (or pinch) to adjust fit; the seam and pivot adjust method, in which you slash and adjust only at the seamline, and the muslin, or trial garment method. Between these three methods you are bound to find one that works perfectly for you. And in my experience no one method works for every single alteration, so it’s a bonus to have several in one book. 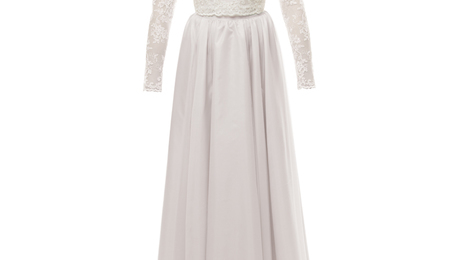 For pure inspiration, I think the books from the Metropolitan Museum of Art’s Costume Institute are among the best. This book, which was published in 1995, surveys garments from a multitude of designers, which is why I include it here. While it won’t give you any construction information, it will give you lots of ideas and hours of enjoyment. This book, which includes a CD ROM, is a college textbook, used in many of the top fashion schools. Unlike most college textbooks I have read, it is clear, concise and has great illustrations. Okay, I admit, I was a computer science major in college, but still! I particularly like Ms. Armstrong’s explanation of dart rotation and manipulation. One warning about this book: It’s BIG (it weighs 5 lbs). It has information on pattern making for every area of the body, and it is quite comprehensive. Even if you don’t plan to make your own patterns, I think it’s a valuable resource to understand the workings behind the pattern. This book is a great resource for anyone who wants to make a shirt, whether for a man or a woman. Mr. Coffin is a master of shirt design and construction, and his writing style is easy to read. The instructions are accompanied by excellent photographic illustrations. And one of the best features of the book is the section of full-sized patterns for collars, patterns, cuffs and plackets that you can adapt to use on any commercial pattern. This is my answer to the question: “If you were stranded on a desert island and could only have one sewing book, which would it be?” I learned to sew with this book. A veritable encyclopedia of sewing information, this book is great for everyone from the novice to the expert. With lots of illustrations and photographs, this is the one book that I would say should be on every seamster’s shelf. WANT MORE? Depending on your needs, there are any number of books out there that will make it into your Top 10. Check out your local library, bookstore, or online resource. In addition to the big online booksellers, I really like Hamilton Book sellers. They often have books that are out of print or difficult to find. And for inspiration, check your local museum shop bookstore. Book Giveaway: "1,000 Clever Sewing Shortcuts & Tips"
I believe you made a massive omission by leaving out Sewing Techniques from the Fashion Industry by Laurel Hoffman. It made teaching my kids about sewing so easy! Diagrams, step-by-step instructions and very easy to understand language.